Cavity Wall insulation is a well known and well marketed energy efficiency measure. There are ongoing grants and schemes to help with the costs of Cavity Wall insulation and it definitely has an effect on helping to retain heat and therefore reduce heating costs of a property. However, there are always things you should check first before taking on the service. Some properties are built in different ways using different materials, depending on age, location and the building regulations of the time. Normally if your property was construction after 1930 it is likely to have Cavity Walls, although there are exceptions. There are signs that the building will have Cavity Walls, such as width of the walls and styles of brickwork but we would always recommend seeking professional confirmation. For example, an Energy Performance Certificate or EPC will help to identify the construction of the building and to list all the relevant recommendations for improving the energy efficiency, including wall insulation. A qualified Energy Assessor should be able to tell if you have Cavity Walls and if it has already been insulated as part of their assessment. Additionally, all reputable Cavity Wall installation companies will send a surveyor around to do an examination to confirm if you have Cavity Walls or not before installation, this should include drilling a small hole into the external wall and inserting a borescope which will check visually to see if there is a cavity gap and if it has already been filled. Have you already got Cavity Wall Insulation? You may know that you have Cavity Walls, but it is surprising how few people know if they have already have Cavity Wall insulation or not. Houses have changed hands fast over the last twenty years and sometimes it is just overlooked or the paperwork lost. Equally changes to the building regulations over time has meant that since the 1980s properties that have been constructed generally tend to have insulation built into the walls during the building process. The normal signs to look for on retrofitted Cavity Wall insulation are a series of drill holes under the windows of the properties which are in a series of two or three and have been subsequently filled over. If this has been repeated on several windows it is a fair bet you already have insulation in the walls. Again, seeking professional help will confirm if that has been done or not. Will Cavity Wall Insulation Work For You? We have all been conditioned now to think of Cavity Wall Insulation as being an all encompassing energy efficiency measure applicable to any building, however, there are occasions when Cavity Wall insulation would actually be to the detriment of the property. The Cavity Gap, that is the term for the gap between the outer layer of bricks and the inner layer of bricks in a cavity wall, is designed to help keep the property dry and damp free inside. Brick as a material is porous and will soak up water. If you want to prove this take a spare brick and put it in a bucket of water overnight, by the next morning the brick will have soaked up most of the water. This means the outer external brick layer on a property can actually be holding a lot of moisture at any time. Having the Cavity Gap stops the moisture soaking across to the inner wall of the property and thus creating damp problems inside. 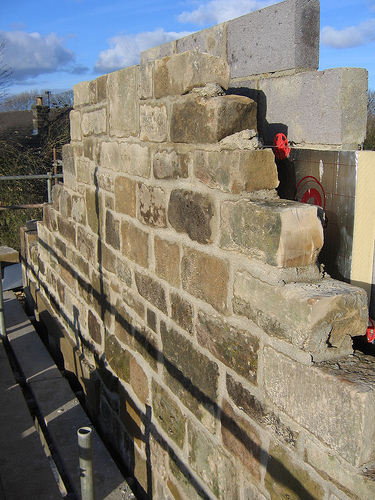 Cavity Wall insulation is normally fairly water resistant, but in some situations, such as on buildings in exposed positions, like on a steep hill or cliff, where the wind and rain drive against the property, Cavity Wall insulation can actually get wet and help to transmit the dampness to the internal walls. In these situations Cavity Wall insulation would be detrimental to the property. It is always best to get experts in to advise you. We would always recommend undertaking an Energy Performance Certificate or EPC with an Accredited Energy Assessor to help identify any potential areas of improvement to the property. There could always be additional measures that you could implement too. If you definitely want to proceed with getting Cavity Wall insulation then ensure that the installation company conducts a thorough assessment of the building and walls to ensure it is right for you. Always make sure you use a reputable company and most local authorities hold lists of approved contractors. Getting Cavity Wall Insulation installed will save you money on your heating bills, but always make sure it is suitable for you! While doing cavity insulation, have a think about soundproofing qualities too! the old 2 birds with one stone syndrome! Cavity wall insulation is indeed a vital tool in reducing heat loss. Remember the insulation will not only keep the house warm in winter but will also keep it cooler in the summer. now is the best time to consider any type of insulation product in the home as government grants and loan schemes are available to assist many home owners to get their homes more energy efficient. I’ve been considering cavity wall insulation for quite some time now, these blog has really helped. Thanks! A nicely written article. I’m glad you gave both the strengths and weaknesses of cavity wall insulation, though in the vast majority of cases homes *with* cavity wall insulation will be better off than those without. While there are scenarios where cavity wall insulation can cause damp problems these are few and far between in comparison to the properties that benefit from the treatment. Damp can also be caused by all manner of other problems so it’s important to diagnose damp problems accurately before assuming they’re the result of cavity wall insulation. « Is it time to get a wood-burning stove?